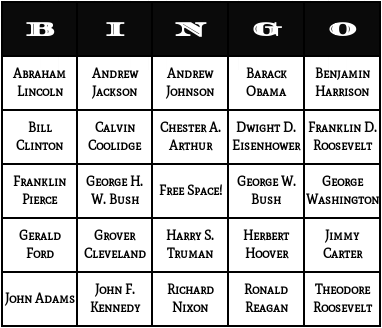 These are U.S presidents bingo cards. They include words of past United States presidents like "Bill Clinton" and "George W. Bush" as well as current U.S president "Barack Obama". 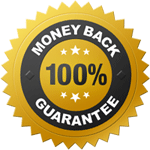 You can add more U.S presidents names to the bingo card and generate the printable U.S presidents bingo cards by clicking the "Generate Bingo Cards" button.